Really? You can get salmonella from kissing a frog? This really is going to make find my prince charming, difficult. i wish i'd thought of that blog name -- SO funny! i'll be following you. not in a scary way. Ha! This actually explains quite a bit about my dating experience. Thanks for your comment on my blog. Stop by any time! I love your dating advice. It's priceless. 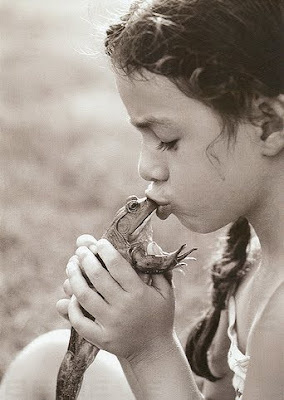 How does one get Salmonella from kissing a frog? What kind of kisses are we talking about, exactly?